After previously demonstrating them back at CES, ADATA has officially launched its SD cards based on 3D MLC NAND. The new Premier ONE UHS-II cards offer capacities up to 256 GB, sequential read speed of up to 290 MB/s and extended temperature ranges. 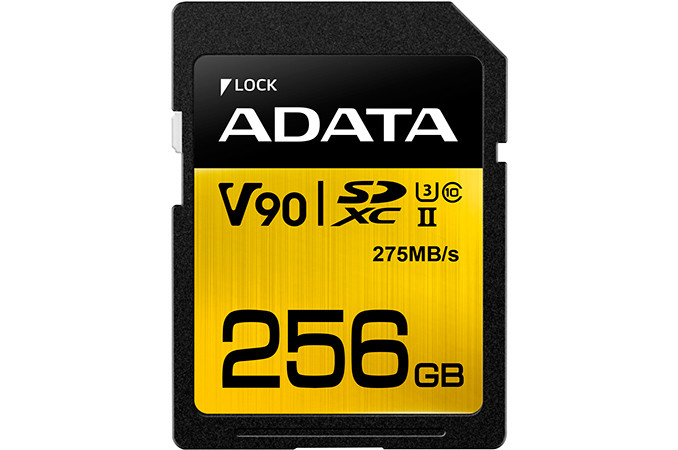 The new cards are also the first products from ADATA that are compliant with the V90 requirements for SD devices aimed at UHD and 360° video capture. In addition, ADATA has added Premier UHS-I Class 10 series of microSD cards with up to 128 GB capacity and mainstream performance levels to its product line. The ADATA Premier ONE UHS-II cards will be available in 64 GB, 128 GB and 256 GB configurations in SDXC and microSDXC form-factors. The new memory cards are rated for up 275/290 MB/s sequential read speed as well as up to 155/260 MB/s sequential write speed, depending on the capacity and form-factor (the microSDXCs are a slower). The Premier ONE UHS-II cards are also compliant with Video Speed Class V90 specification, which mandates minimum write speed of 90 MB/s to smooth recording of UHD and 360° video. The enhanced performance of the new SD products by ADATA is enabled by 3D MLC NAND memory with large block and page sizes as well as a new controller (which I suspect uses some kind of pSLC technique to ensure fast writes, but that has not been confirmed by ADATA). In addition to performance-related improvements, the controller also supports write-in protection as well as ECC. To take full advantage of the new cards, one will need a device that fully supports the UHS-II interface and has the extra pins the wider bus requires. Still, the cards are compatible with all types of SD-supporting devices (cameras, card readers, etc.) albeit at lower speeds. Another important selling point of the ADATA Premier ONE UHS-II cards is their rugged design. The SDs are explicitly adverised as being both waterproof and dust-proof. Meanwhile, the cards are also rated to work at extended temperature range between -25°C to 85°C, which makes them suitable for industrial applications. As for the Premier UHS-I Class 10 series of microSD cards, ADATA will offer them in 16 GB, 32 GB, 64 GB and 128 GB configurations, with up to 85 MB/s and up to 25 MB/s sequential read/write speeds. The cards also feature built-in ECC and are also protected against water and dust, but do not support extended temperature ranges. 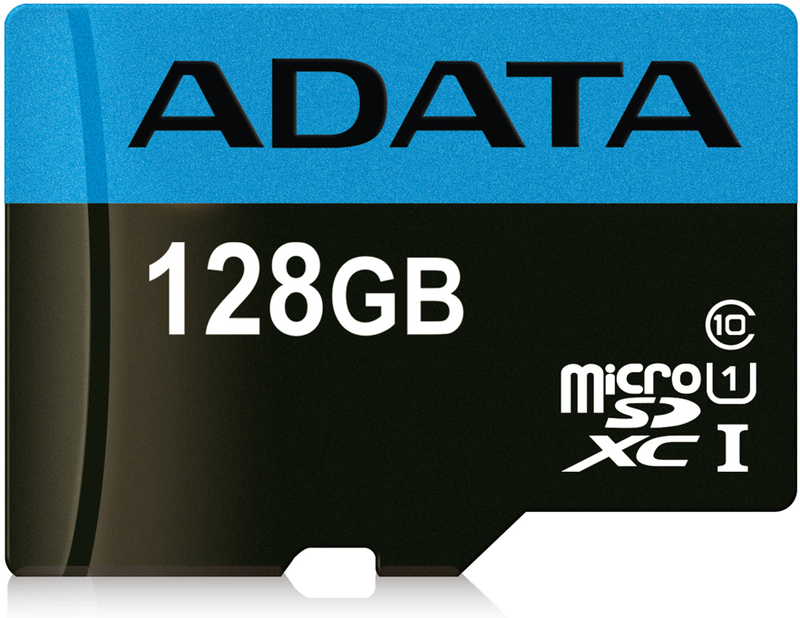 ADATA has not announced recommended prices for its Premier ONE UHS-II SD and microSD cards. Since the devices offer a rather strong combination of features (high performance, V90-compliancy, extended temperature ranges, 3D MLC), they will naturally belong to the highest end of the SD spectrum. As for the Premier UHS-I Class 10 cards, expect them to be priced competitively against direct rivals. Sales of the standard cards must be falling, "Quick, release a speed increase and the suckers will lap it all up!"